Our innovative one year Diploma training programme is the first of its kind. Designed to support your connection with nature and develop your confidence working with clients in natural settings. The course: is fully immersive, all of our learning will take place outdoors in woodland and grassland within south London. The course journeys throughout the year embracing the seasons and cycles. Nature and all that she brings will become part of our experience. The course is delivered through experiential learning and taught seminars over 8 weekends. The training day runs from 10am to 5pm on Saturday and Sunday. We encourage students to camp overnight during training weekends (April to October) to enhance their experience of connection. 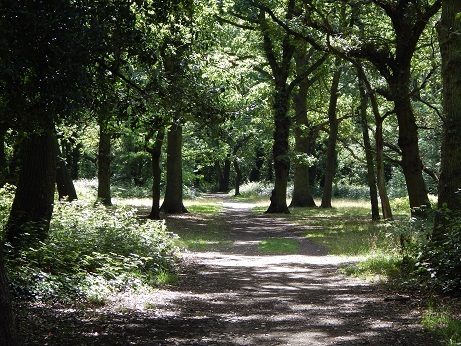 Ethos: Our relationship with nature is central to nature-based psychotherapy. The course focuses on developing our own connection and attachment to nature, this relationship becomes part of the frame of nature-based psychotherapy. This training acknowledges nature as a therapeutic container, co-counsellor and primary source of attachment. We work with embodied and sensory understandings of nature and connection. Assessment: is summative and formative through personal process reflection, student presentation, client work, an essay and recorded tape. The training is suitable for: qualified psychotherapists and counsellors and trainees in their final year. Places: are limited to encourage group intimacy, the maximum group size is 10 students. Places booked by 31st January will receive a 10% early bird booking discount. Entry: is by application. To apply please download and complete the application form or contact Beth Collier for a course brochure or copy of the form in Word; hello@naturetherapyschool.com. Open days: TBA. Open days are an opportunity to meet the tutor, visit the venue and hear more about the course. Booking is essential, please email Rebecca at hello@naturetherapyschool.com to confirm attendance and receive further details.